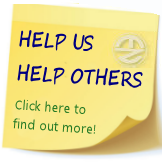 Media and Television that affects the trans community. Paris Lees was described as a being male at one point in her life by The Chase’s Anne Hegerty Live on the Wright Stuff. In a discussion about the gender pay gap on The Wright Stuff, Anne and Paris – who was designated male at birth but transitioned at University - disagreed over ‘old boys clubs’ who didn’t want women earning as much as them. And The Chase star replied: “No, no, not really. Well, you used to be a boy, you’d know that.” The audience and fellow panellist Jules Hudson fell silent as Paris stared at Anne open mouthed for several seconds. After the awkward silence, a visibly shocked Matthew Wright moved on the discussion on to the pay disparity between The Crown’s Matt Smith and Claire Foy. There are a few ways to look at this. 1. 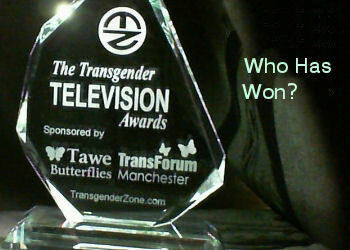 The Wright Stuff historically has won a few of our Transgender Television Awards and regularly have transgender women in the studio audience and Paris has been invited on once before without incident. So this negative comment is unusual for the show. 2. This event has created headlines, and as Oscar Wild said, 'There is only one thing worse than being talked about, and that is NOT being talked about...' And with Twitter this actually may be something that in the long run will help raise awareness. Just by gossip alone, positive or negative. This is likley to create more interest in Paris as a journalist. In the wake of this happening she has been asked to comment by tabloids on this matter. The appaerance on the Wight Stuff would have passed unremarkably were it not for Anne's comments generating the media focus. 3. Anne is a Television Quizzer and has Aspergers. How much value do you or anyone else ascribe to the views of Anne Hegerty? Most people have never heard of her. And of those that have, I doubt they would see her as some expert on Trans* issues, or even somebody who can influence any form of social or legal political policy associated with the trans* community. Rather, she is just someone who through her own ignorance of the facts (oh the irony), has made a faux pas. Were it not Live, I suspect we would never have heard it said To Paris, I suspect, a person who lives in a world dominated by absolutes, it is likely to be challenging for Anne to see a person designated a male gender by the state at birth, then later change that through choice to not understand male privilege. To Anne, I suspect, Paris is still male, albeit with cosmetic changes as she seemed angry with Paris for her somewhat insolent comment to her. Lastly, there may of course be an element of jealously, after all, Paris appeared to be (subjectively) more attractive, younger and feminine than Anne, and it it is possible that this can be deflating for a woman sitting next to her. At least for now (as we all age). And could create an internal script of resentment in Anne. Especially when Paris showed off her Vogue photo/s. Which of thse three, or all three are correct, only you can answer.